The southern central coastal province of Ninh Thuan has announced the halt of the Grapes and Wine Festival 2018 to focus on dealing with a widespread drought. 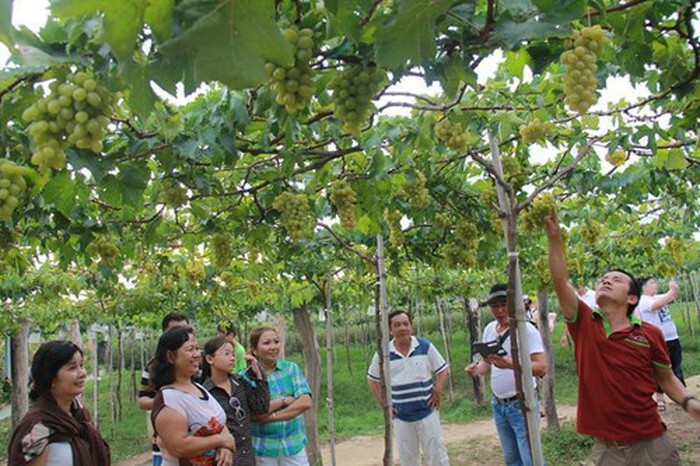 The event was initially slated to take place on October 5-11 this year with many activities to introduce products made from grapes as well distinguished features of Ninh Thuan grapes. However, Ninh Thuan has faced a drought and the situation has been forecasted to worsen in the coming time. The water level at 21 reservoirs has been estimated at just 55 out of the designed capacity of 194 million cubic metres. Provincial authorities have localities to take measures to cope with drought, ensuring clean water for people’s daily lives. The festival could be held in 2019 if the province had favourable conditions. The south central province of Ninh Thuan is the country’s largest grape producer with more than 1,300 hectares devoted to the fruit.